When he first arrived in Mumbai, Shakti Samanta was a lanky young man, who would follow filmmaker Phani Majumdar everywhere and do small roles in amateur Bengali plays at festival time. Low profile and shy, Shaktida as he later came to be known, also stood in when the prompter failed to turn up. He was simple in attitude, dress and style and this has remained with him till this day. He remains one of the most unassuming men in the Mumbai film industry today, one of the old guards who, never mind their fame and success, remain rooted to reality. Born in Burdwan, now in West Bengal on January 13, 1925, Shakti Samanta grew up in Dehra Dun in his uncle’s place, thus gaining a command in Hindi and Urdu. He graduated from Calcutta University in 1944 and went away to Maharashtra because becoming an actor was a childhood dream he never gave up. With little money and big dreams, he took up the job of a school teacher in Dapoli, about 200 kilometers from Mumbai. He would make a weekly trip to Mumbai on Fridays, the weekly holiday in the Muslim-run institution he worked for. He made his rounds of the studios when Bombay Talkies was on top and as it turned out, Bombay Talkies at the time was overflowing with Bengalis. “It was Ashok Kumar, then the top star at Bombay Talkies, who advised me to become an assistant director and not chase stardom,” he recalls. There were three films on the floors at that time and he would visit the sets and watch the shooting every Friday. During summer vacations, he began to assist Gyan Mukherjee, Satish Nigam and Phani Majumdar not even dreaming that one day, he would reach far beyond the horizons his predecessors had earlier defined. Shaktida had to wait for more than a decade to get his directorial break in 1955. His first film was Bahu starring Usha Kiron, Karan Dewan, Pran and Shashikala. 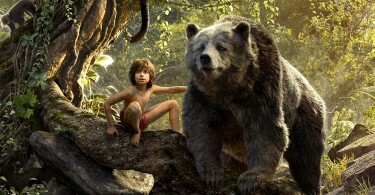 But the film flopped. Inspector (1956) was his second film helped establish him. It was a thriller with Ashok Kumar in the title role co-starring Geeta Bali. It was a slickly made murder mystery, showing glimpses of Shaktida’s flair for suspense thrillers and did fairly well at the box office as well. Following Sheroo and Hill Station, he set up his production house and made Howrah Bridge (1958) starring Madhubala, Ashok Kumar and Madan Puri. The film is remembered till date as one of the best crime thrillers on the Hindi screen. It also featured Helen in the famous cabaret number Mera Naam Chin Chin Choo sung by Geeta Dutt. The film established Shakti Samanta as a filmmaker with command over entertainment that packed in all the ingredients of success – good music, dynamic action, chilling suspense, and a tight-knit script. Howrah Bridge was an instant hit. His next, Insan Jaag Utha (1959) with Sunil Dutt and Madhubala was his first socially relevant film. It had a powerful storyline and beautiful songs such as the cute Jaanu Jaanu Ri. But the film was a flop. Shakti-da evolved his brand identity for wholesome, mainstream entertainment, churning out one hit after another. The 1960s saw Shaktida make films like China Town (1962), Kashmir Ki Kali (1964) introducing Sharmila Tagore to Hindi audiences, Sawan Ki Ghata (1966) and An Evening In Paris (1967). Kashmir ki Kali led to a long and illustrious partnership with Sharmila Tagore. Known till then mainly for her work with the great Satyajit Ray in Apur Sansar (1959) and Devi (1960), Kashmir ki Kali introduced Sharmila as a typical commercial Hindi film heroine. The director-actress combination would go on to do films like Sawan Ki Ghata, An Evening In Paris, Aradhana (1969), Amar Prem (1971), Charitraheen (1974), Amanush (1974) and Anand Ashram (1977). The best phase in Shakti Samanta’s illustrious 50-year career began in 1969 with Aradhana. 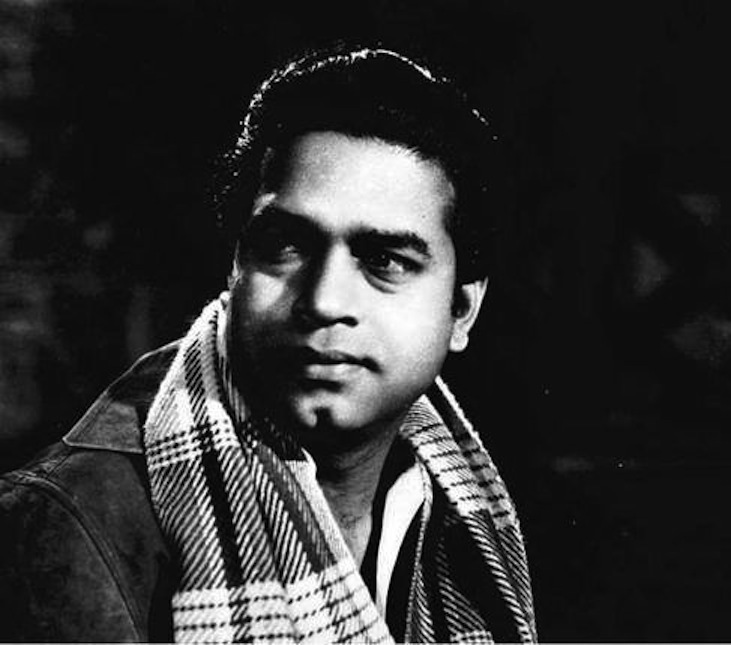 Aradhana heralded the industry’s great superstar Rajesh Khanna playing a double role of a father and son. It was the first pairing of Sahaktida and Rajesh Khanna marking the longest tenure between Shakti-da and his actor. A long string of pairing between and among Rajesh Khanna, Shakti Samanta, Kishore Kumar, lyricist Anand Bakshi and the father-son music-composing duo SD Burman and Rahul Dev Burman followed. Rajesh Khanna and Shaktida created magic with films like Aradhana (1969), Kati Patang (1970), possibly boasting of Asha Parekh’s greatest ever performance, Amar Prem (1971), Anuraag (1972), Ajnabee (1974) andMehbooba (1976). The team’s last film together was Rajesh Khanna’s home production Alag Alag (1985). Shaktida’s professional liaison with other actors worked the best with Uttam Kumar who worked in two double-version hits under his direction, Amanush and Anand Ashram, both with Sharmila Tagore. But his films with Amitabh Bachchan (The Great Gambler (1979), Barsaat ki Ek Raat (1981)) and Mithun Chakraborty did not jell. Two films with Sanjeev Kumar, Charitraheen and Ayyash flopped. 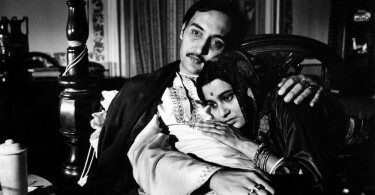 The Bengali version of Barsaat Ki Ek Raat, namely Anusandhan did very well in West Bengal but the Hindi version could not strike at the box office. Geetanjali (1993) with Rekha doing a double role was Shaktida last directorial venture in Hindi but the film underscored the tragic fact that Shakti Samanta was really not able to flow with the changing ebb and tide in Hindi cinema. He returned to filmmaking with the idea of shifting base to his home state. He made Devdas (2002) with Prosenjit, Arpital Pal and Indrani Haldar as the star-crossed lovers. But “working in Tollygunge has taught me never ever to work in Bengal again because people are very lazy and unprofessional here. At my age, with my experience, I simply cannot cope,” he said. Devdas was a miserable flop. Music always played a big, big part in trhe success of Shaktida’s films. “I was very particular about my dialogues and lyrics which was easy because I was very good both in Hindi and Urdu. I chose Anand Bakshi to do the lyrics for most of my films and I had great faith in his work also because we were very good friends on a personal level. After Amanush, I worked with Indeevar too,” says Shaktida. Shaktida’s films will be forever remembered for their rich music and lyrics. Over his 50 films in 50 years, Shakti-da worked with OP Nayyar, Shankar-Jaikishen, SD Burman, RD Burman, Laxmikant-Pyarelal to produce some of the best songs in the history of Hindi film music. If Aradhana placed Kishore Kumar at the top among male playback voices, then the songs of Amar Prem remain archived in the music museum for lyrics, rendering and music. Kuch To Log Kahenge, Chingari Koi Bhadke or Yeh Kya Hua are hummable to this day. SD sang Aradhana’s title song and it is an all-time hit. The Bade Achche Lagte Hain slow number in Balika Badhu beautifully brings out the romantic strains of first love. Place this against Pyar Deewana Hota Hai in Kati Patang or Aayiye Meharbaan in Howrah Bridge, Zara Haule Haule Chalo More Sajna from Sawan Ki Ghata and you get a collage of rich music in every musical genre in cinema. He has also worked with a variety of composers – Hemant Kumar, Ravi, Madan Mohan, Mukul Roy (Geeta Dutt’s brother), Chitragupta, Ravindra Jain, Annu Malik and Bappi Lahiri. Shakti Samanta won three Filmfare awards for Aradhana, Anuraag and Amanush topped by the Lifetime Achievement Award. He headed the Indian Motion Pictures Producers’ Association for five years, was chairperson of the Central Board of Film Certification for seven years and chaired the board of the Satyajit Ray Film and Television Institute in Kolkata for two years. His films have been screened at international film festivals in Berlin, Tashkent, Moscow, Cairo and Beirut. A former president of Indian Motion Picture Association of India, Shaktida passed away in Mumbai on April 9, 2009. He had not been keeping well for some time.